Dr. P. Michael Conn is the Senior Vice President for Research and Associate Provost, Texas Tech Health Sciences Center. He is The Robert C. Kimbrough, Professor of Internal Medicine and Cell Biology/Biochemistry. He was previously Director of Research Advocacy and Professor of Physiology and Pharmacology, Cell Biology and Development and Obstetrics and Gynecology at Oregon Health and Science University and Senior Scientist of the Oregon National Primate Research Center. He served for twelve years as Special Assistant to the President and Associate Director of the ONPRC. After receiving a B.S. degree and teaching certification from the University of Michigan (1971), a M.S. from North Carolina State University (1973), and a Ph.D. degree from Baylor College of Medicine (1976), Conn did a fellowship at the NIH, then joined the faculty in the Department of Pharmacology, Duke University Medical Center where he was promoted to Associate Professor in 1982. In 1984, he became Professor and Head of Pharmacology at the University of Iowa College of Medicine, a position he held for eleven years. Conn is known for his research in the area of the cellular and molecular basis of action of gonadotropin releasing hormone in the pituitary and therapeutic approaches that restore misfolded proteins to function. His lab is credited with the first demonstrations of GPCR internalization and oligomerization. His work has led to drugs that have benefitted humans and animals. Most recently, his lab identified a new class of drugs, pharmacoperones, which act by regulating the intracellular trafficking of receptors, enzymes and ion channels. He has authored or co-authored over 350 publications and written or edited over 225 books, including texts in neurosciences, molecular biology and endocrinology. 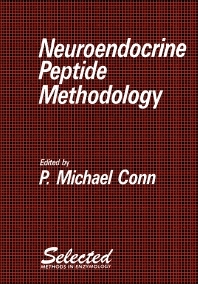 Conn has served as the editor of (Endocrinology, Journal of Clinical Endocrinology and Metabolism, Endocrine, Methods, Progress in Molecular Biology and Translational Science and Contemporary Endocrinology). The work of his laboratory has been recognized with a MERIT award from the NIH, the J.J. Abel Award of the American Society for Pharmacology and Experimental Therapeutics, the Weitzman, Oppenheimer and Ingbar Awards of the Endocrine Society, the Miguel Aleman Prize of Mexico and the Stevenson Award of Canada. He is the recipient of the Oregon State Award for Discovery, the Media Award of the American College of Neuropsychopharmacology and was named a distinguished Alumnus of Baylor College of Medicine. Conn is a previous member of Council for the American Society for Cell Biology and the Endocrine Society and is a prior President of the Endocrine Society, during which time he founded the Hormone Foundation.